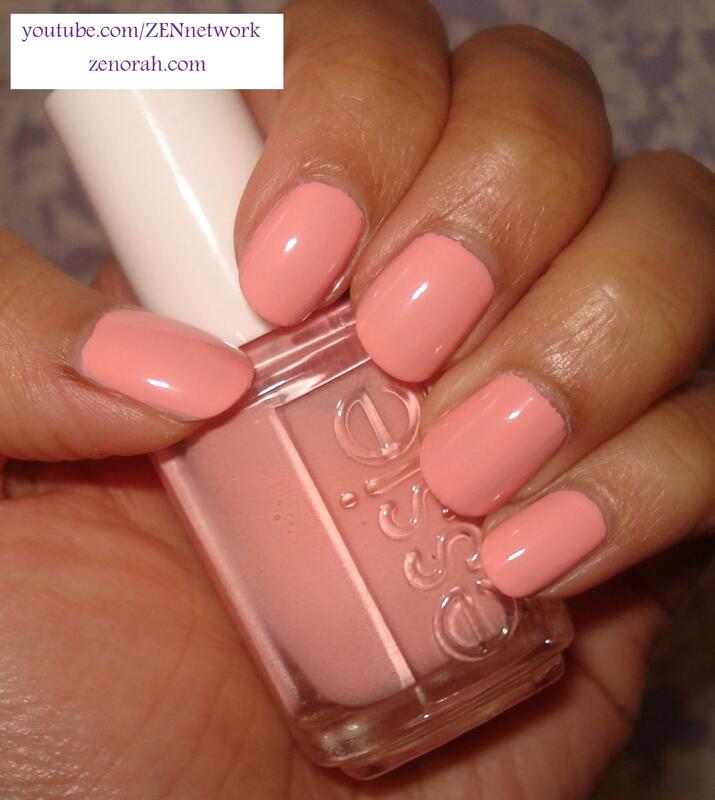 Essie Van D’Go – is a beautiful peachy pink pastel creme polish. This polish was originally released in the Spring 2010 Collection and was so popular that it easily became part of their permanent line up. I really adore this polish – just looking at it cheers me up and I love the feminine quality it adds to any outfit whether Spring or Summer. While pastel pinks are a favourite of many, it’s the peachy pinks that compliments my skin tone best and wins as my preference in the pastel shades department. It’s one of the few polishes I don’t get sick of after a week of wearing and I usually never wear the same polish as both a pedicure and manicure , but with this polish I do. I just can’t get enough!! Being a pastel polish, the formula was streaky on the first coat but my trick with pastel shades is applying a streaky first coat, followed by either two thin coats or one semi thick coat (depending on the polish formula and consistency). This manicure didn’t start chipping or showing tip wear until Day 4, which is pretty good in my opinion considering I don’t wear most manicures past 3 days (if I could help it). And once again, because of the amazing finish of Essie polishes, I did NOT have to apply a top coat to get a glossy finish. I highly recommend this shade and polish, the only dupe I know of is Orly Cotton Candy (I have been trying hard to get this polish in order to do a comparison for myself), so if you already have the Orly one, you definitely do NOT need both. Do you own Essie Van D’Go? What are your thoughts on this nail polish? A very pretty shade, very spring!